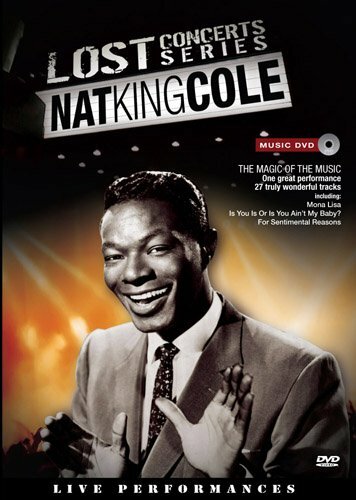 A marvelous opportunity to immerse yourself in the silky smooth voice of the great entertainer Nat King Cole, seen performing a memorable selection of songs that helped set this massive talent apart from all others. His flair for all things musical surfaced at a very young age, learning to play the piano and organ at the tender age of 12 before going ton to set up two groups, one named the Rogues of Rhythm and the other Nat Cole and his Royal Dukes in his early teens. But it was at the age of 16 when he began to take music seriously, and joined the Solid Swingers playing keyboard, recording several songs with the mighty Decca Records along the way. In this superb DVD we see the results of his earlier ambition in a compilation of Nat s evergreen songs taken from rare television clips, providing 72 minutes of sheer listening and viewing pleasure.